Life is full of changes and transitions. Sometimes we perceive them as stressful, sometimes we view them as exciting. Regardless, what happens around us effects the body systems within us. We can use tools to modulate our emotional and our physical responses during these shifts. From the holidays to hormones, in this article, you will learn some tips on how to support your mood and body through various periods of transitions. Transitions. They are everywhere. With change always comes a response. With the recent United States’ presidential election over, a turbulence is occurring that is impacting not just its citizens, but the world. Interestingly, as these undertones of political unrest are simmering, the nation is also preparing for a holiday that signifies our coming together in gratitude. Regardless of the type of change, it can be transformative, transitional, a critical opportunity, and/or very stressful. Whether it is the new year, a new political party, or the maturation of the physical body, transformation is inevitable. In this article, we will be focusing on how to deal with the response of change when it evokes stress in a way that can impact our health. Stress has become commonplace and accepted in our society. It infuses our everyday activities such as when we are waiting in long lines and stuck in traffic jams. It accompanies us when prepping for life events. It also rears its ugly head in heated disputes with the boss or among friends discussing politics. The stress response is intended to be an adaptive reaction to real physical danger that is mitigated when out of harm’s way. 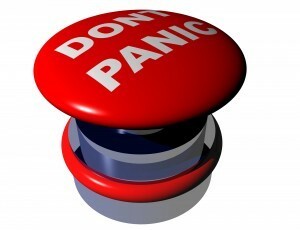 However, today our brains never let our bodies shut off this “alarm.” The result is a life in distress. It is not healthy. The last point is very important. Our life events, parental influence, environmental exposures (including prenatally), and our genetics all interact to determine how our nervous system is wired to handle stress. What can be construed as a mild annoyance by one could be the thing that completely “ruins” another’s day. This is biology, not just temperament. The term epigenetics is used in at least three different ways, each referring to a fundamentally different mode of biological regulation, which has contributed to considerable confusion in the field. Epigenetics, in its broadest meaning, is used by some to denote stable changes in gene expression that are mediated via mechanisms that do not involve modification of DNA sequence. In the field of stress responses, such epigenetically induced stable changes in gene expression likely result from any number of environmental stresses that occur throughout a lifetime. For example, chronic stress may induce epigenetic mechanisms that alter gene expression in the adult brain . Likewise, it’s thought that environmental exposures to stress and other behavioral experience early in life (i.e., in utero and during childhood and adolescence) may produce epigenetic changes that determine how susceptible or resilient an individual is to those or other stresses later in life. There is now robust and growing evidence supporting a role for epigenetic modification as a key mechanism underlying lifelong regulation of gene expression and, consequently, of stress vulnerability [2–12]. The term epigenetic is also used to describe two additional phenomena for which the evidence base is less solid. One concerns stochastic changes during development, whereby random epigenetic modifications in the developing brain generate variations in an individual’s traits, including differences in stress vulnerability, without changes in either genomic sequence or environmental exposures. The other relates to epigenetic inheritance across multiple generations, whereby epigenetic modifications induced in an individual’s germ cells in response to stress or other environmental exposures are transmitted to offspring to control their stress vulnerability. The degree to which these two forms of epigenetic regulation contribute to the lasting consequences of stress, including stress-related syndromes such as depression, remains more controversial. As mentioned in the article excerpt above (if you didn’t read it), the various mechanisms in epigenetics are quite involved and somewhat controversial. For example, below are just three articles I’ve recently read on epigenetics, stress, and the body’s response patterns. Seriously, just reading the titles may make you cross-eyed! Regardless of the complexity of HOW stress impacts our stress response, the solutions are generally quite simple. Here are five tips to help you cope and even conquer stress. I have set up a dispensary of quality nutritional support which you can access here. All you have to do is create a free account and click on “product catalog” then “wellness essentials” in the dropdown menu for baseline support. 2. Use Essential Oils…For Many Reasons! They are an ancient medicine that integrates the best of the art and science of medicine. In fact, it is now proven that resilience and health outcomes is not so much related to stress, but how we deal with it. For example, Dr. Kelly McGongial, a psychologist from Stanford University whose research has been published in The Journal of Personality and Social Psychology, Motivation and Emotion, The International Journal of Psychiatry in Medicine, and The Journal of Happiness Studies, found that those who make stress their friend actually have better health outcomes than those who have negative responses to the same overstress or little stress at all! Click on the link to listen to Dr. Kelly. This is a blog that is short and sweet. It gives a good overview of how to modulate hormones in your favor. For example, taking control of your stress (love on those adrenals), supporting your liver, and making sure blood sugar is balanced all have profound effects on your hormones. Remember, the basics apply to hormones too, which I discuss here! You also want to consider the testing caveats that come with different methods of hormone assessments. Here, you can learn healthy ways to hack your hormones. Use those oils! 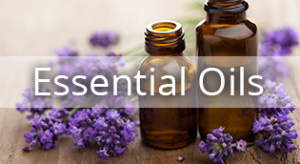 Dr. Z wrote a great blog on essential oils and menopause. Ever hear of the Emotional Freedom Technique (EFT)? It may look silly, but it has real science behind it! Other quantum physic and medical model integrative systems exist as well, such as Body Talk. Stress and change, the two can go hand and hand, but it doesn’t have to wear away your vitality and health. Getting back to the “basics” and getting familiar with your sensitivity to stress will help you better cope with life transitions. Furthermore, using tools such as essential oils, nutrition, and emotional techniques can help you conquer and respond better to the transformations that are occurring. If you enjoyed the post, please share and considering joining my subscribed readers!